Maritime Disaster Prevention Center (MDPC) was established in 1976 as an authorized corporation under the Law Relating on the Prevention of Marine Pollution and Maritime Disaster. MDPC became a General Incorporated Foundation in 2013. We have a chemical laboratory (KISO Chemical Analysis Center) and currently MDPC　covers not only disaster response at sea but also Hazmat incident response on land. MDPC has responded to more than 160 of marine disasters such as the vessel　groundings and the petrochemical complex incidents. Also, our Chemical Analysis　Center has supported 180 AZMAT incident responses. From the experience of the Great East Japan earthquake, the citizens of Japan have　realized that a disaster will occur no matter what. However, being preparated will minimize the damage. “Safety” cannot be acquired by　just praying or saying the magic word. 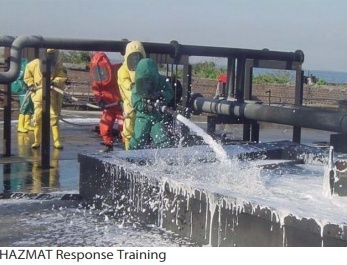 In order to minimize the disaster , MDPC conducts daily training and preparation such as gas detection,firefighting, oil spill response and HAZMAT response. 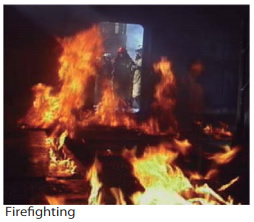 These training support “Preparation for the incidents”. 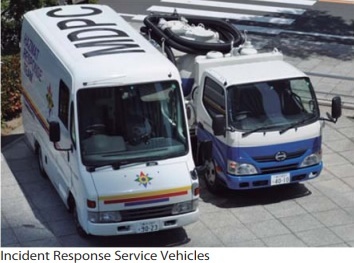 MDPC provides not only incident responses but also incident preparations including but not limited to training, and consultant for incident preparations. Our service is "Preparation" and "Response"
Copyright © MDPC All Rights Reserved.